As we noted earlier, Craig James, chief economist at fund manager CommSec, told Reuters that of the 73 bourses it tracks globally, all but nine have recorded gains in local currency terms this year. Still, the good times may not last: an State Street index that gauges investor risk appetite by what they actually buy and sell, suffered its six straight monthly fall in December, Reuters reported. “While the broader economic outlook appears increasingly rosy, as captured by measures of consumer and business confidence, the more cautious nature of investors hints at a concern that markets may have already discounted much of the good news,’ said Michael Metcalfe, State Street’s head of global macro strategy. An illustrative example is provided by the methods applied in the operation of nationalized and municipalized enterprises. These enterprises very often result in financial failure; their accounts regularly show losses burdening the state or the city treasury. It is of no use to investigate whether the deficits are due to the notorious inefficiency of the public conduct of business enterprises or, at least partly, to the inadequacy of the prices at which the commodities or services are sold to the customers. What matters more is the fact that the taxpayers must cover these deficits. The interventionists fully approve of this arrangement. They passionately reject the two other possible solutions: selling the enterprises to private entrepreneurs or raising the prices charged to the customers to such a height that no further deficit remains. The first of these proposals is in their eyes manifestly reactionary because the inevitable trend of history is toward more and more socialization. The second is deemed “antisocial” because it places a heavier load upon the consuming masses. It is fairer to make the taxpayers, i.e., the wealthy citizens, bear the burden. Their ability to pay is greater than that of the average people riding the nationalized railroads and the municipalized subways, trolleys, and busses. To ask that such public utilities should be self-supporting, is, say the interventionists, a relic of the old-fashioned ideas of orthodox finance. One might as well aim at making the roads and the public schools self-supporting. This post was published at Ludwig von Mises Institute on December 25, 2017. Tonight I would like to update some charts for the commodities complex as we are starting to see some action in this sector. Back in the summer months when we first started to get long some of the different commodities sectors, we got many breakouts from some very nice H&S bases. After the initial move up came the first consolidation phase that has been going on for nearly four months or so. We are now starting to see some of these consolidation patterns breaking out which should lead to the next impulse move higher in most cases. Lets start with BHP, one of the biggest miners on the planet, that shows a good example of where we are at in the bull market. Today the price action broke out with a gap above the top rail of an almost 5 month triangle consolidation pattern. A backtest to the top rail would come in around the 43.50 area. This post was published at GoldSeek on 21 December 2017. In its November report, mortgage security firm Freddie Mac called 2017 the ‘best year in a decade’ for the housing market by a variety of measures. These include low inflation, strong job growth and historically-low mortgage rates. This assessment is very encouraging, not just for homebuyers and builders and the U. S. economy in general, but also for commodities, resources and raw materials as we head into 2018. Speaking on CNBC’s ‘Halftime Report’ last week, DoubleLine founder Jeffrey Gundlach said he thought “investors should add commodities to their portfolios’ for 2018, pointing out that they are just as cheap relative to stocks as they were at historical turning points. 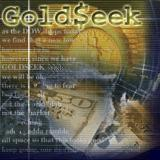 This post was published at GoldSeek on Thursday, 21 December 2017. Goldman Sachs continues to ratchet up predictions for commodities, laying out a bullish case for commodities of all stripes in 2018. The investment bank said that its forecast a year ago for higher commodity prices ‘played out much better than expected.’ The bank pointed to industrial metal prices, which are up 24 percent this year, plus the 13 percent increase in oil prices. But looking forward, Goldman sees plenty of room to run. ‘The demand backdrop today is now even stronger than a year ago, with robust and synchronous global growth clearly evident,’ Goldman analysts, led by Jeffrey Currie, wrote in a December 11 research note. The extension of the OPEC deal also led the bank to revise up its forecast for oil prices, as inventories should continue to fall throughout 2018. There are other reasons to be bullish on commodities. The investment bank argues that commodities tend to outperform other asset classes when central banks move to tighten rates. That is because rate hikes typically occur when demand is exceeding supply – the higher prices resulting from that mismatch are why central banks are trying to raise rates, but it is those higher prices that support the investment case into commodities. We keep returning to the subject of Australia and the growing signs that its bubble economy is bursting. Earlier this month, we discussed how the world’s longest-running bull market – 55 years – in Australian house prices appears to have come to an end. We followed this up with ‘Why Australia’s Economy Is A House Of Cards’ in which Matt Barrie and Craig Tindale described how Australia’s three decades long economic expansion had mostly been the result of ‘dumb luck’. Last week, in “The Party’s Over For Australia’s $5.6 Trillion Housing Market Frenzy”, we highlighted some scary metrics for Australia’s housing bubble – notably how the value of Australian housing is more than four times gross domestic product – higher than other nations with housing bubbles, e.g. New Zealand, the UK and Canada. Two days ago, we noted the number of Australians optimistic about the year ahead had plunged to a record low. US equity futures continued their push higher into record territory overnight (ES +0.1%), and the VIX is 1.5% lower and back under 10, after yesterday’s blistering surge in US stocks which jumped 1%, the most since Sept. 11, following Powell’s deregulation promise, ahead of today’s 2nd estimate of U. S. Q3 GDP which is expected to be revised up. U. S. Senate Budget Committee sent the tax bull to the full chamber to vote, and on Wednesday Senators are expected to vote to begin debating the bill. It wasn’t just the S&P: MSCI’s all-country world index was at yet another record peak after all four major Wall Street indexes notched up new highs on Tuesday. Finally, completing the trifecta of records, and the biggest mover of the overnight session by far, was bitcoin which topped $10,000 in a buying frenzy which saw it go from $9,000 to $10,000 in one day, and which is on its way to rising above $11,000 just hours later. In macro, the dollar steadies as interbank traders and hedge funds fade its rally this week; today’s major event will be testimony by outgoing Fed chair Janet Yellen after Powell said there is no sign of an overheating economy; the euro has rallied on strong German regional inflation while pound surges on Brexit bill deal news; yields on 10-year gilts climb amid broad bond weakness; stocks rise while commodities trade mixed. In Asia, equity markets were mixed for a bulk of the session as the early euphoria from the rally in US somewhat petered out as China woes persisted (recovered in the latter stages of trade). ASX 200 (+0.5%) and Nikkei 225 (+0.5%) traded higher. Korea’s KOSPI was cautious following the missile launch from North Korea, while Shanghai Comp. (+0.1%) and Hang Seng (+-0.2%) initially remained dampened on continued deleveraging and regulatory concerns before paring losses into the latter stages of trade. Notably, China’s PPT emerged again with Chinese stock markets rallied in late trade, with the CSI 300 Index of mainly large-cap stocks paring a drop of as much as 1.3% to close 0.1% lower. The Shanghai Composite Index rose 0.1%, swinging up from a 0.8% loss, with property and materials companies among the biggest gainers on the mainland. The Shanghai Stock Exchange Property Index surged 3.8%, the most since August 2016. The Shenzhen Composite Index was little changed, after a 1.2% decline, while the ChiNext gauge retreated 0.4%, paring a 1.5% loss. In Hong Kong, the Hang Seng Index was little changed as of 3 p.m. local time, while the Hang Seng China Enterprises Index fell 0.3%Stocks in Europe gained, following equities from the U. S. to Asia higher as optimism over U. S. tax reform and euro-area economic growth overshadowed concerns about North Korea’s latest missile launch. The Stoxx 600 gained 0.8%, reaching a one-week high and testing its 50-DMA. Germany’s DAX, France’s CAC, Milan and Madrid were all up between 0.5 and 0.7% and MSCI’s all-country world index was at yet another record peak after all four major Wall Street indexes notched up new highs on Tuesday. ‘It seems to me markets are still trading on the theory that the glass is half full,’ said fund manager Hermes’ chief economist Neil Williams. Zero Hedge readers might have noted our increasingly bearish tone on all things Australian – economic that is, since the cricket team just whipped the English in the first test match in Brisbane. The focal point of our concern is the housing market and, earlier this month, we discussed how the world’s longest-running bull market – 55 years – in Australian house prices appears to have come to an end. We followed this up with ‘Why Australia’s Economy Is A House Of Cards’ in which Matt Barrie and Craig Tindale described how Australia’s three decades long economic expansion had mostly been the result of ‘dumb luck’. Last week, in “The Party’s Over For Australia’s $5.6 Trillion Housing Market Frenzy”, we highlighted some scary metrics for Australia’s housing bubble cited by Bloomberg. In particular, we showed how the value of Australian housing is more than four times gross domestic product. This is higher than other western nations, like New Zealand, Canada and the UK, which are experiencing their own housing bubbles. The ratio of house values to GDP in the US seems positively tame in comparison. Yikes! $450.3 million for Leonardo da Vinci’s ‘Salvator Mundi’ sold on Wednesday night at Christie’s auction, shattering the high for any work of art sold at auction. It far surpassed Picasso’s ‘Women of Algiers’ which fetched $179.4 million at Christie’s in May 2015. It also far surpassed the $127.5 million that Russian billionaire oligarch Dmitry E. Rybolovlev paid for it in 2013. In 1958, the painting sold for 45 because it was believed this was not an authentic da Vinci but merely one done by one of his students. In 2005, an art dealer purchased it for $10,000. There have been numerous questions surrounding its authenticity and the fact that it had at times been restored. The painting dates from around 1500 and is believed to have been commissioned for King Louis XII of France. The current buyer is unknown. Bubbles, bubbles everywhere. There are bubbles in the stock market, the bond market, the corporate bond market, auto loans, student loans, real estate, government debt, art and collectibles, and yes, Bitcoin! But it also begs the question – why isn’t there a bubble in commodities and especially gold? This post was published at GoldSeek on 19 November 2017.